Security Blanket - literally and figuratively. Waterproof, insulated, breathable, and lightweight, the Proton Blanket from Therm-a-Rest can be your new security blanket in both a literal and figurative sense. A waterproof shell prevents water infiltration without causing an uncomfortable accumulation of moisture on the inside thanks to integrated ventilation. When things get chilly, the Proton’s ThermaCapture™ Technology and eraLoft™ synthetic insulation will keep you warm and comfortable. 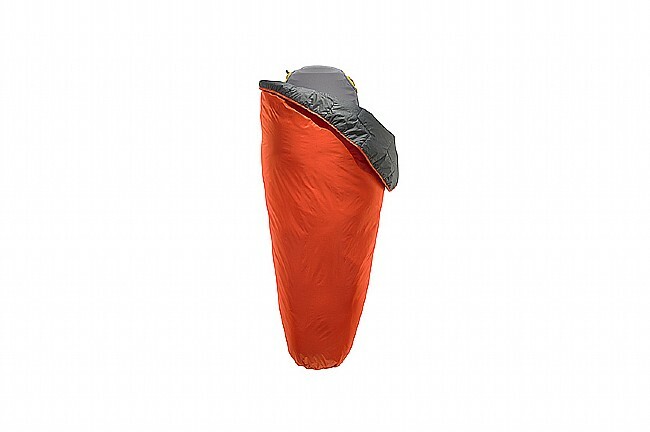 For quick packing and high-portability, this blanket features lightweight materials and a tapered shape that easily folds up into an integrated pocket. For additional draft protection, snaps along the perimeter mate with Therm-a-Rest’s sheet, quilt blanket, and Mattress Snap Kit. 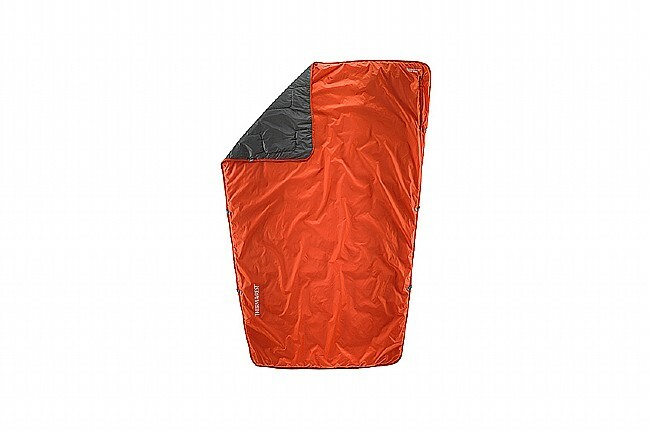 If you don’t already have these, you can use the drawcord at the foot of the blanket to cinch it around a sleeping pad for a secure sleeping set-up. Length: 75 in (190 cm). Width: 55 in (145 cm). Weight: 1 lbs 2 oz (0.51 kg). Fits: 6 ft (1.82 m). Foot width: 40 in (101 cm). Packed dimension: 14.5 x 5.25 in (37 x 13 cm). Liner fabric: ThermaCapture 20D Polyester Taffeta 9000 MVTR / 1 CFM Air Permeability. Shell fabric: Waterproof Breathable 20D Polyester RipStop w/DWR 1000mm Hydrostatic Head / 5000 MVTR. Fill: eraLoft Hollow Microfiber Polyester. Fill weight: 8.5 oz (0.24 kg).